Currently based in Madrid, Martijn Maagdenberg is surely defining new rules for the everyday fashion blogger. Coining the name The Tall Fashionist, Martijn exceeds at translating the mundane into dignified eccentricity through his use of silhouette, texture, and accessories. One of his most acclaimed techniques is his ability to "mix a lot of menswear with womenswear", which explains why he is universally admired and an influential character to all. Daughter Runs had the pleasure to interview Martijn about fashion, the digital age, and Britney Spears. DAUGHTER RUNS: Why did you decide to become a fashion blogger? Martijn: I’ve always been interested in fashion and in photography so I thought that being a fashion blogger would help me to explore these things better. Though the main reason I choose to become a fashion blogger is because I want to be someone important in the worldwide fashion industry, someone who’s able to influence and inspire others to develop their personal style. DAUGHTER RUNS: Where did the idea for “The Tall Fashionist” come from? Martijn: During the stage of deciding whether I wanted to start a blog, one of the most difficult things for me was to choose a simple but catchy name. At first I was thinking of using my name but since most people find my full name impossible to spell, it wouldn’t be useful, as it wouldn’t stick to people. I wanted to have a memorable name, a name that represented who I am and could be perceived globally. A long time ago, before I had my previous blog, a girl referred to me as a tall fashionist on one of my Instagram posts. I didn’t really pay attention to it as I thought she was messing around with me but when it was time to choose a name, a friend of mine had reminded me of it and I thought it was perfect as it was easy to remember and representative of me. 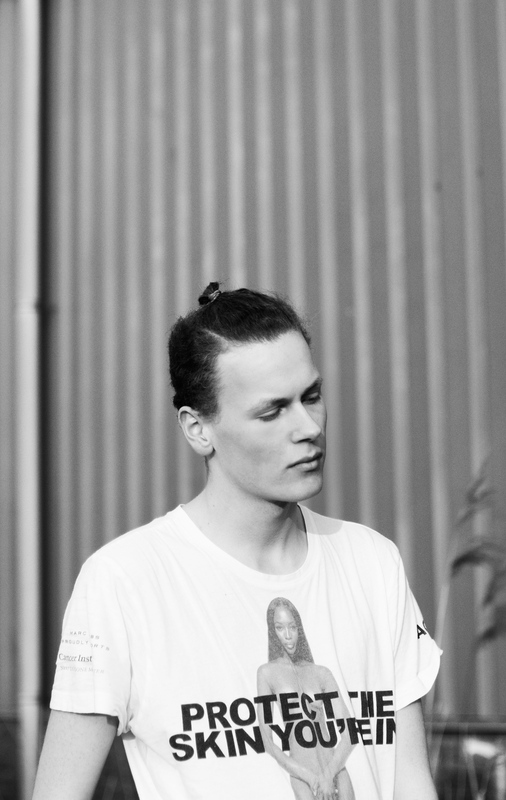 Martijn: I actually tend to get inspired a lot by my surroundings, different cultures and through media. I think that the media is a great tool, which has allowed me to inspire and to be inspired by others. If I’d have to choose someone who I daily look into for inspiration it would be Linda Tol. She inspires me because not only is she a fashion blogger like me, but she’s also perceived as an influencer by the fashion industry and that’s something that I’m aiming for. People that work hard to achieve what they want are those who inspire me the most and that’s the feeling I get from Linda Tol. DAUGHTER RUNS: In terms of individuality, what do you think sets you apart from others? Martijn: In the past few years, thousands of people have started to create their own blog so setting yourself apart from other bloggers is very difficult. What I’ve noticed is that most of the fashion bloggers out there are female so the competition isn’t as strong between male bloggers. Though the problem I have with most male bloggers is that although most of them have amazing style, they mainly concentrate on gentlemen’s clothing and I think that can get quite boring compared to someone who is unique and is able to combine different types of clothing from a variation of styles. Something that I find very interesting and I know sets me apart from the other male bloggers is that I mix a lot of menswear with womenswear. Not only in the way I dress but also the way I am is different than others. My international background has helped me understand different cultures and the way they dress, inspiring me to challenge myself to wear different types of styles. Being unique is something that I strive for and what I find very important is to stay true to yourself and your individual style. 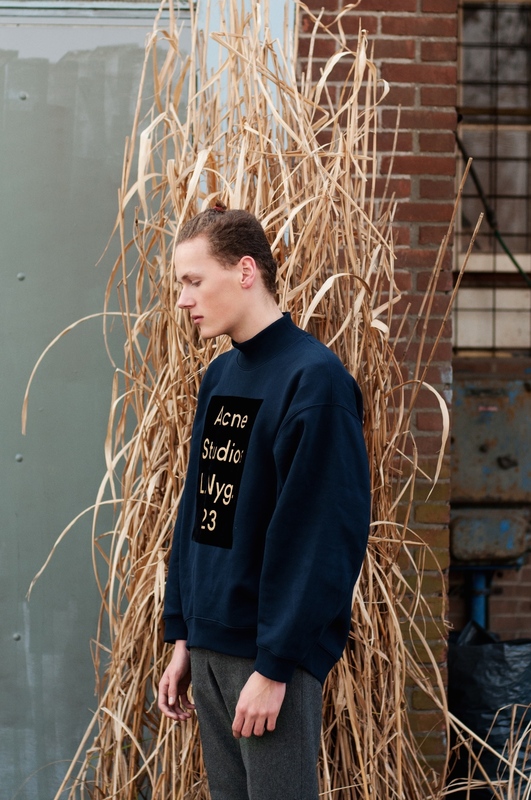 Martijn: My favorite designer right now would be Jonny Johnsson, the founder of Acne Studios. Johnsson has actually always been my favorite designer but after having lived in Stockholm for 5 years, I learnt to appreciate him and his brand even more. This is because of the constant minimal style that is maintained throughout the brand and how he decides to play with exquisite materials and textures. If I could wear one brand for the rest of my life it would definitely be Acne Studios because they have a range from basics to high-end fashion statement pieces, which I love to see in a brand. Martijn: I think that if you have a strong passion for something, creativity comes by itself. Environment plays a super large role when it comes to creativity and ambition because your surroundings should inspire you to become passionate. In my case, I’ve always had a supportive family that I know will support me no matter what I do. If you’re passionate about something, you need to do your thing without anyone (not even your family) to interfere negatively. Currently I’m residing in Madrid and in general the people are very traditional and preppy here so as soon as you wear something else than that, you’re not as likely to be accepted into the society. It’s important to not always care about what others think cause’ it’ll change the way you want to be. I used to be affected by other people and their judgments but as soon as I learnt to deal with it I continued to develop my interest in fashion. The way I dress is a way of expressing myself and it’s something I’m very passionate about so I won’t let anyone ruin it for me. So being able to deal with your environment is very important in order to express your creativity and ambition, no matter what it is. Martijn: Personal style is something very important for me since I use it as a tool to express myself. I don’t dress for others I dress for me. This is something I keep in my mind at all times because although personal style impacts society, the same thing can happen the other way around. Expressing yourself, no matter in what area, is a contribution to that particular society. One of the most common ways of how personal style impacts society is through social media. Without our personal style and contributions in media, the fashion industry wouldn’t be able to develop. It would stay the same since brands, bloggers, magazines and many more depend on personal interpretations to innovate and evolve. The way each person contributes with his or her own personal style is perceived as something positive as it allows society to grow. Martijn: Yes definitely. Social media is for sure one of the most powerful tools that can be used for the self-promotion of our creativeness. I’ve been using Instagram for 5 years now and for the past few years I’ve started to concentrate on fashion and lifestyle allowing me to connect with people in the creative industry. Never in my wildest dreams could I have expected to interact with some of the biggest influencers in fashion or art. Without media, photography would not be as evolved as it is today because with only an instant click we can share one photograph to millions of people worldwide. Without social media, the creative world would not develop at the rate it is now. New talent is discovered daily as people promote themselves and their work through the different types of social media allowing the innovative industry to develop faster. So without all the social media that exists today, our creativity would not be as developed compared to today since being influenced helps our creativeness flowing. Martijn: Honestly I don’t actually remember what the last film was I watched. You can probably already guess that I’m not really into films but my favorite movie is “The Devil Wears Prada”. The reason why I think this is such a good movie is because it emphasizes how tough the fashion industry is and how it can change who you are. Of course it over exaggerates some aspects of the business but I can imagine how difficult it must be to stay true to yourself in such a demanding environment. Martijn: Surprisingly I’ve been listening a lot to Britney Spears. I’ve always been a fan of her music and I never get tired listening to the old Britney cause the music from her albums “Britney” and “In The Zone” are so original and iconic. Unfortunately she’s way too commercial now so her most recent albums are not really my thing. So either one of her old albums from around the year 2000 that I mentioned could be considered as one of my favorite albums right now. Martijn: I can imagine a lost girl running away from an overprotected area where she’s not free to express herself to a place where she can explore her inner self and do what she’s always wanted to do. Learning from her mistakes she encounters through life, as she looks back at how staying at home wouldn’t have led her to where she’s at now.